It's been a long time since I've blogged. Life tends to get in the way of blogging. I've been busy teaching my grade 2s about simple machines, procedural writing, inferencing, and 2-digit addition and subtraction strategies. I've also been busy creating a 2-digit addition and subtraction unit with task cards, posters, and so much more. I can't wait to share them all with you. What have you been up to? What units have you been working on with your students? When's your March Break (spring break)? We are enjoying our break this week and I can't believe that we are already half way through our break. Time sure does fly by. 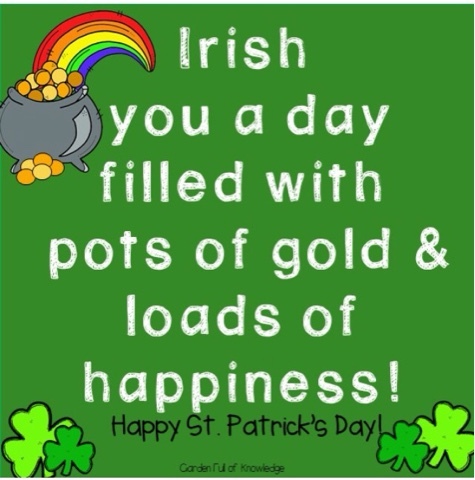 Have a wonderful leprechaun day!